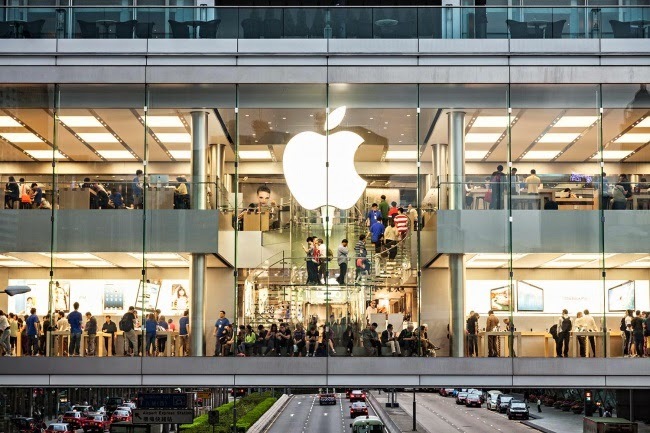 Has Apple lost its charm or its that the competion just caught up? So folks, its the time of the year when the rumour mill churns out the best rumours. Yes, I am talking about 'The big daddy of innovation-Apple' . From the mouse, Mac ,GUI and the iPad,Apple constantly challenged the status quo and led the way. Times are getting tougher for Apple as rivals are inching closer and even beating them at their game . The world's watching Apple fall as some predicted when Steve jobs passed away. 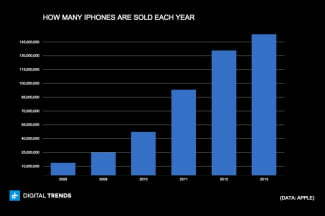 Apple generally launches its new iPhone(s) in September and the last quarter of the year blows up with sales. 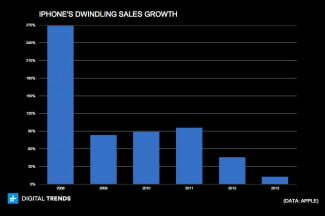 Sales typically hit the top peak around the holidays , but Apple has supercharged this by releasing iPhone at that time. Demand consistently peaks after a new iPhone debuts, as you’d expect. 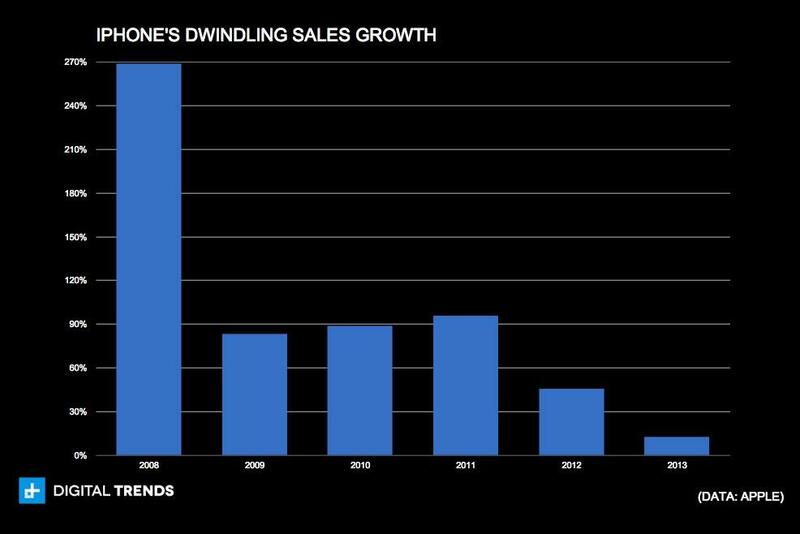 From 2007 to 2011, iPhone sales doubled every holiday season, more or less. A new iPhone meant way more sales, but that’s no longer the case. In 2012 that growth fell by two thirds, and even with two iPhones in 2013, it all fell again by another two thirds. But you wouldn’t realize this by looking at the sales chart. Sales look like the chart on the left. It’s the one with a lot of upward momentum. 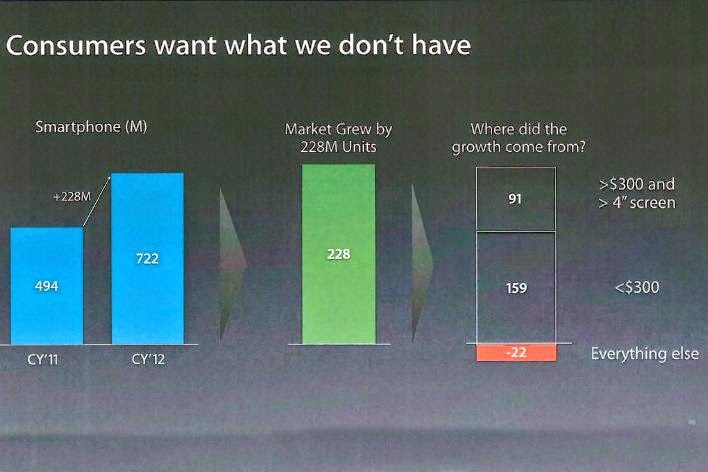 Look at the chart and you’ll see why Apple is finding it tough to stay on the top. Dwindling growth each year for the last few years. But a look at the rumours on the web about the speculated products(if true) show that Apple is moving in the right direction . 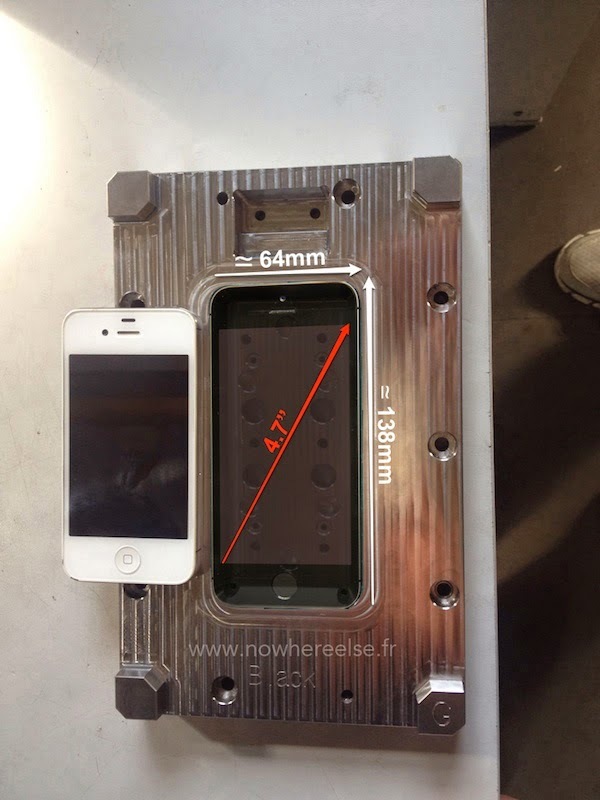 A new iPhone is obvious. But how different will it be when compared to the current gen? Only Apple knows. 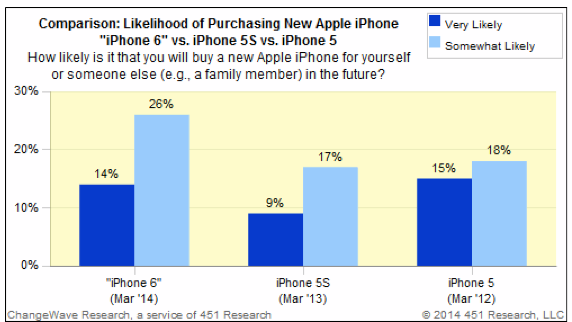 Based on a recent survey, its clear that the world cant wait for an iPhone with a bigger display. This is quite contrary to what apple convinced us some time ago . 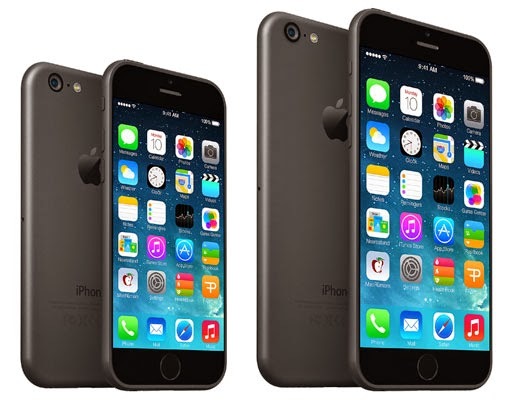 Apple tried to convince us that 4inch was the perfect size for a phone. They were even seen ridiculing the competition (Yep,the note lineup).But now the phablets rule the world .A recent leak suggested that the next iPhone will have a 4.7 inch screen and even more variants. A new Mac book pro ,Apple Tv etc are to expected. Another leak(pic shown below) points out that Apple clearly know its situation and hudles. But when you believe something and make others believe the same and then you realise that you were not right is what Apple is finding difficult to fight. Just like with the screen size,closed ecosystem , and also the megapixel count race. 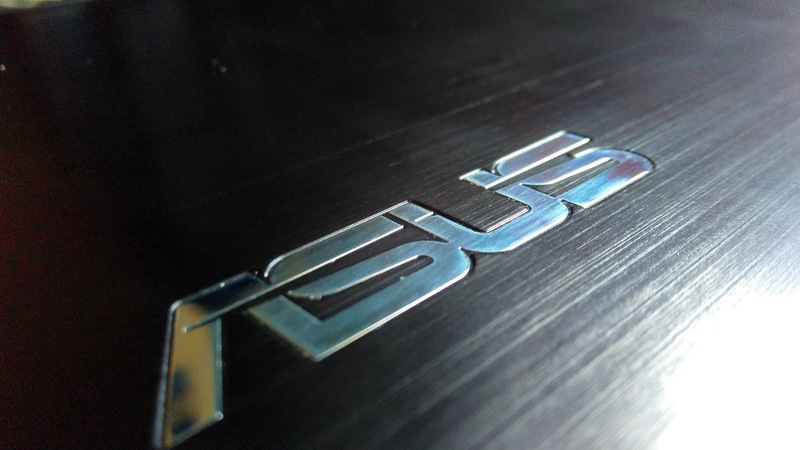 Not to mention the 'premium' tag that Apple devices hold proudly for we the customers are tapped.What this situation has is that it has created a new environment with faster,cheaper devices and we are left with more options to chose from. 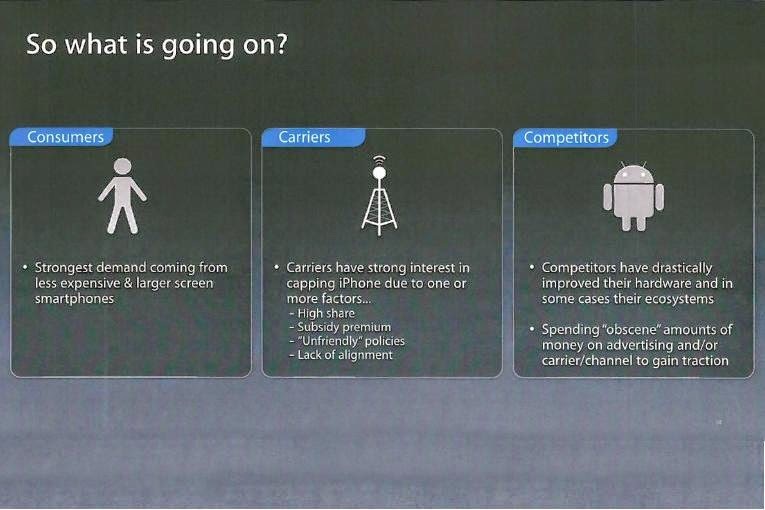 What will Apple do and to what extent will they 'Think Differnt' to get back on track has to be seen.